Both teams huddle up after a timeout in Asan. The last two games of the first round of play were played on Sunday and Monday. 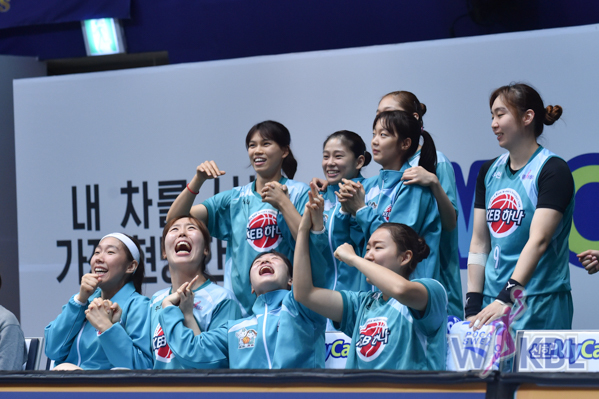 Samsung took on KBD at home and Woori Bank hosted KEB Hana. KDB, who have only won one game so far this season was dealt a huge blown when one of their local post players suffered an ACL injury in their last game. Already at a disadvantage in the post before the injury, they now find themselves playing inside with an undersized guard. Not that this particularly would have changed the outcome of the game and the performance of Alyssa Thomas who has been dominating all season long. 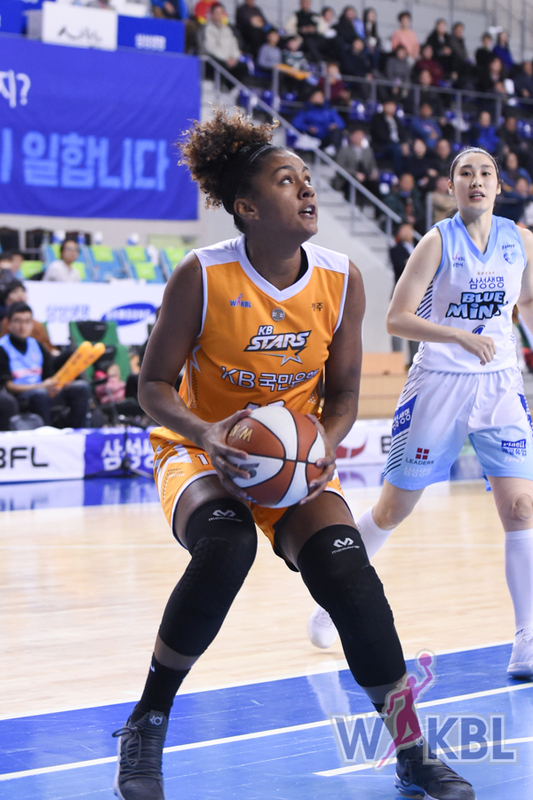 Thomas finished the game with 26 points, 22 rebounds and 7 assists in the 88-70 win. Samsung now shares second place in the standings. Samsung saw four players score in double figures while only two players saw double figures for KDB. Loyd led the way with 26 points and 8 rebounds in the loss. 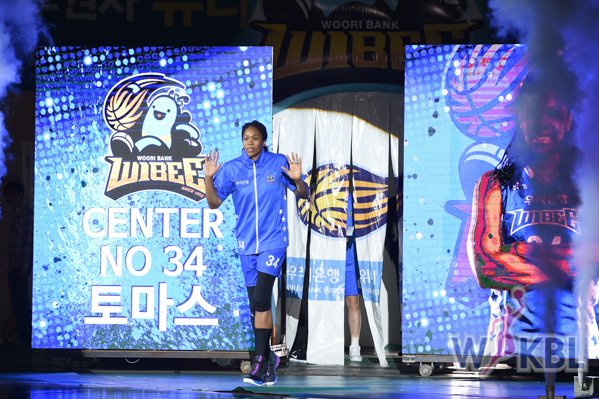 On Monday Woori Bank hosted a hot KEB Hana team that had won their last two games after starting the season 0-2. 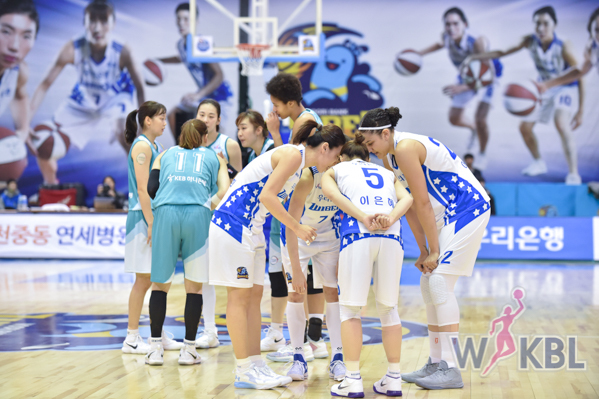 Both teams got off to a great start as they exchanged baskets for the duration of the the first and second quarters. With that, KEB was able to take a one point lead into the half. After the third KEB upped their lead to five but saw that quickly go away at the start of the fourth. 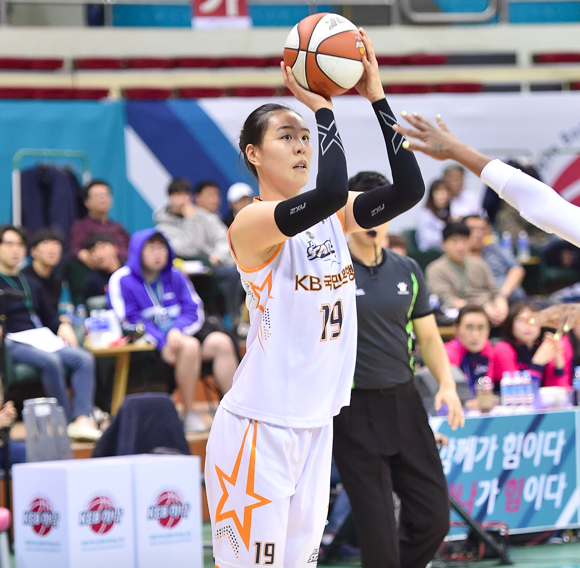 Woori Bank turned up the heat in the fourth scoring 29 points to Hana’s 19. This made the difference in the game and the hosts were able to escape with the win. 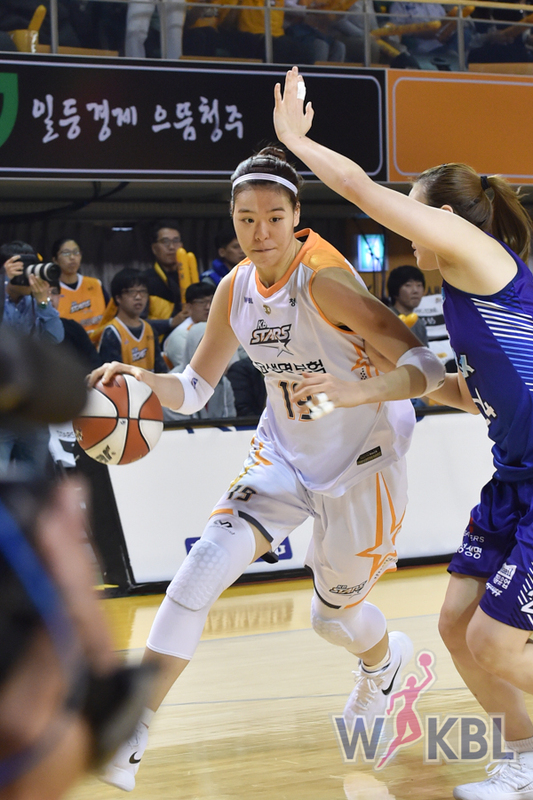 Gwathmy had a breakout game for Hana in the loss, scoring a season high of 18 points. She also had 10 rebounds to complete the double double. 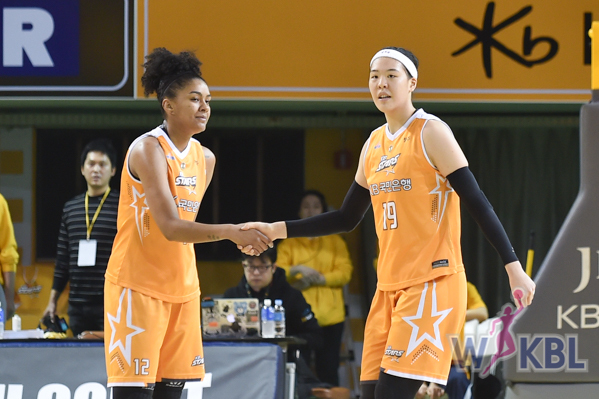 Woori Bank saw a balanced attack as four players scored in double figures lead by Park Hye-jin who had 21 points. 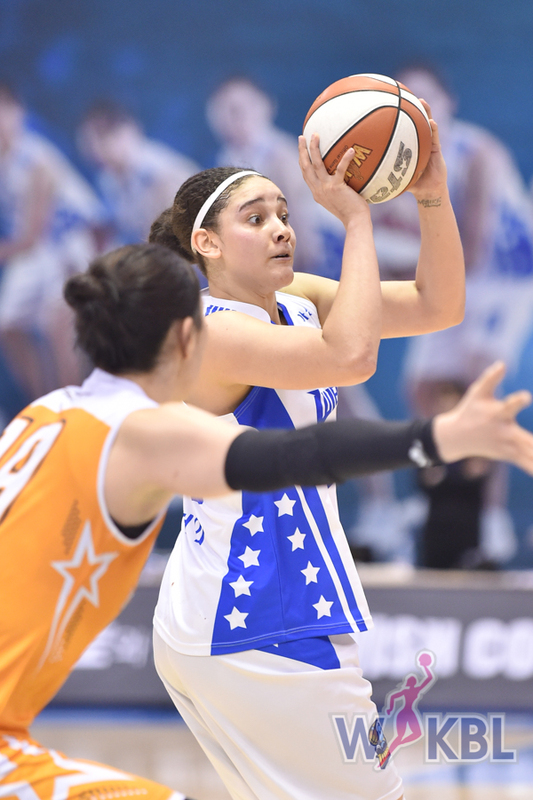 Natalie Achonwa finished with 20 points and 8 rebounds.